i. Ahead of his government's first full year budget, Prime Minister Narendra Modi today sought ideas from economists to attract investments, create jobs and finance infrastructure to put India back on high growth path. ii. Suggestions were given related to the General Budget for 2015-16 paving the high growth roadmap for the Indian economy. iii. The meeting also discussed suggestions with regard to effective implementation of several flagship schemes of the government and how poverty levels can be brought down. iv. Chief Economic Adviser Arvind Subramanian, Aayog's full time members Bibek Debroy and V K Saraswat, Minister of State for Finance Jayant Sinha, Planning Minister Rao Inderjit Singh, ex-RBI governor Bimal Jalan, Subir Gokarn, Ashok Gulati and G N Bajpai were also present in the meeting. i. Alibaba had signed a deal to buy a 25% stake in Indian mobile payments and ecommerce platform Paytm owner One97 Communications. ii. Ant would initially pay around $200 million for the stake and stump up $375 million more in tranches based on the firm meeting performance milestones. iii. 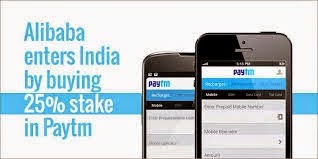 Paytm is India's largest mobile commerce platform with nearly 25 million orders a month and more than 23 million mobile wallet users. i. Tata Communications has signed a $20 million multi-year deal with Germany-based KION Group to provide global wide area network (WAN) services to the group’s 330 sites across 30 countries. ii. 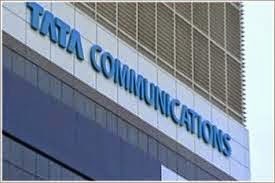 As part of the deal, Tata Communications will replace the KION Group’s existing stable of multiple WAN providers with a single global network. iii. The KION Group is the second largest global manufacturer of forklift trucks and warehouse technology. i. MO Garg was appointed as the Director General of the Council of Scientific & Industrial Research (CSIR). Prior to his present posting, he was Director in CSIR-Indian Institute of Petroleum (IIP), Dehradun. ii. 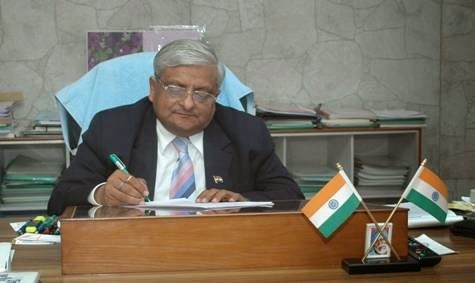 Born on 17 September 1954, Garg did B.Tech in Chemical Engineering from Nagpur University and M.Tech from IIT Kanpur. iii. He completed his Ph.D. from University of Melbourne, Australia in the area of solvent extraction. i.CSIR-National Chemical Laboratory (CSIR-NCL) signed a Memorandum of Understanding (MoU) with Security Printing and Minting Corporation of India Ltd (SPMCIL). ii.The MoU is aimed at fostering collaboration on research and exchange of technical expertise in areas of material sciences and testing capabilities for bank notes, security documents and coins. iii.The MoU was signed by Sourav Pal, Director of CSIR-NCL and Rakesh Kumar, Additional General Manager of SPMCIL. iv. The MoU seeks to explore printing innovations. It ascertained the research projects within the focus areas of SPMCIL’s requirements and domain expertise available at CSIR-NCL. 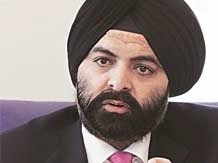 i. Indian-American Ajaypal Singh Banga is appointed as the Member of the Advisory Committee for Trade Policy and Negotiations (ACTPN), a key administration position in the United States (US). ii. His appointment was announced by the US President Barack Obama. Presently, Banga is President and CEO of MasterCard since 2009.
iii. Currently, he is also the Chairman of the US-India Business Council (USIBC) representing more than 300 of the largest global companies investing in India.